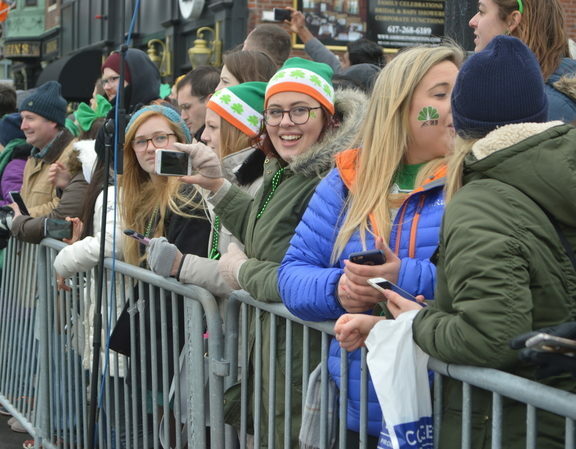 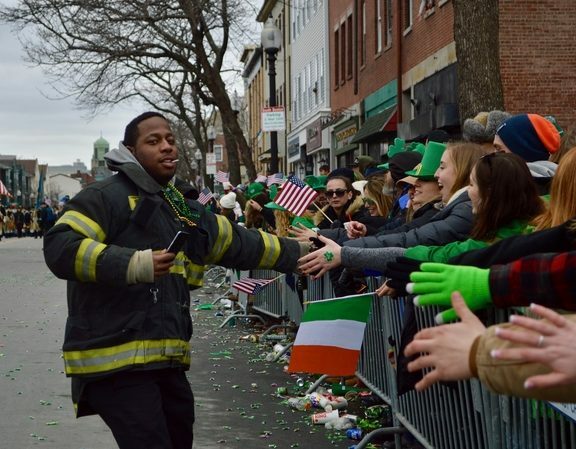 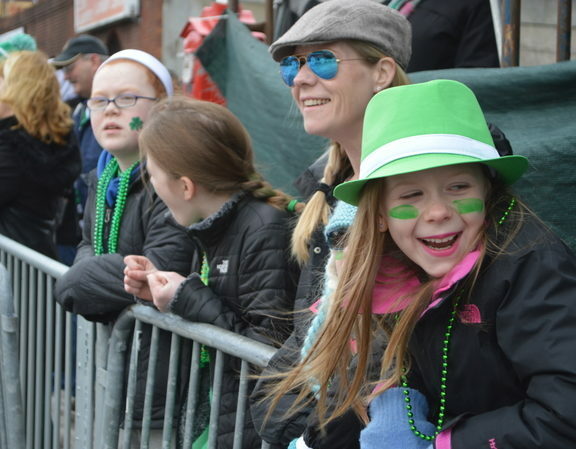 Thousands of people showed up to the streets of South Boston on March 19th to celebrate St. Patrick’s Day. 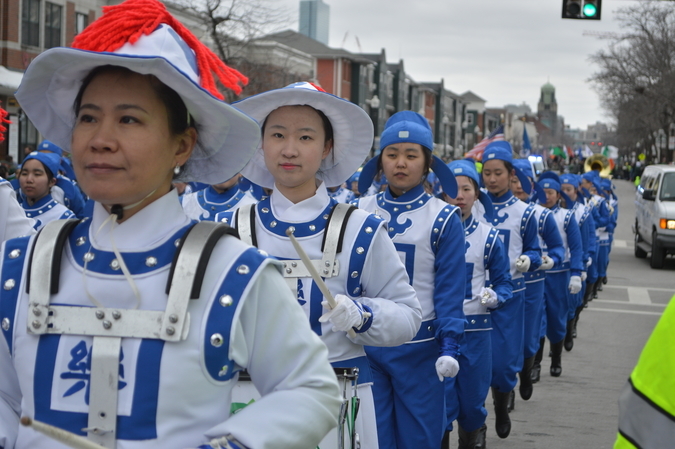 The parade, although shorter than usual due to snow, was still lively. 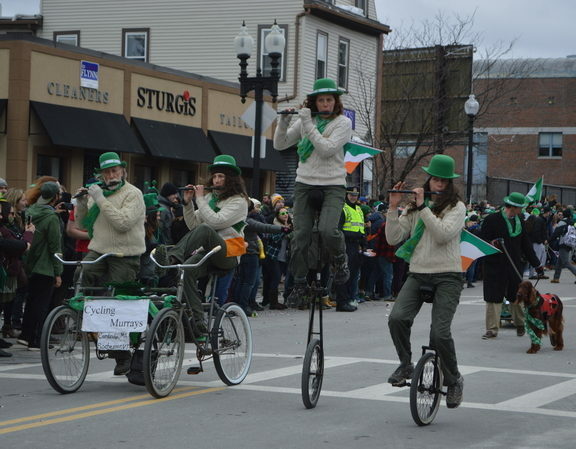 Musicians played, horses trotted, and bystanders rushed out into the route to pet Irish Setters. 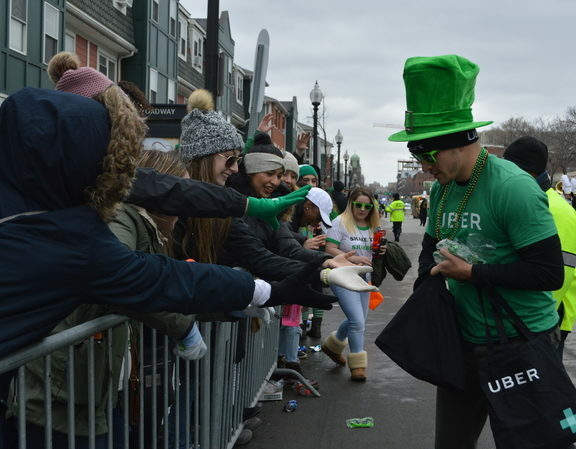 By the end, the ground was littered with candy and necklaces that had been thrown to the crowd by various companies. 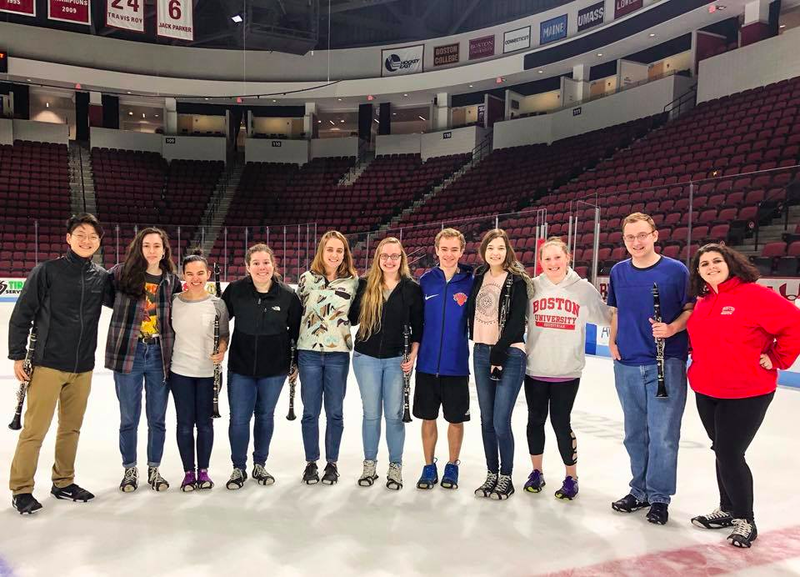 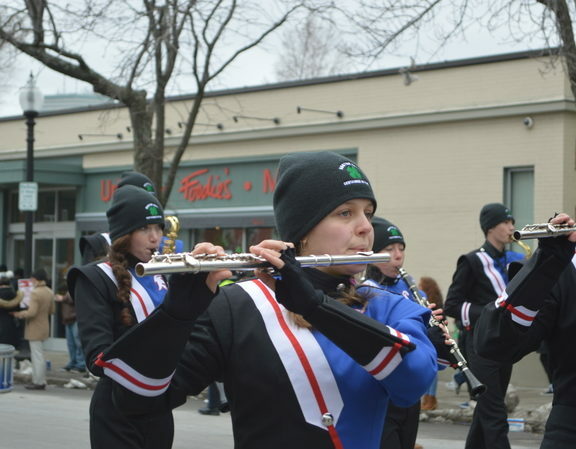 Although many locals watched, there were plenty of marching bands from different states, including Pennsylvania and Colorado. 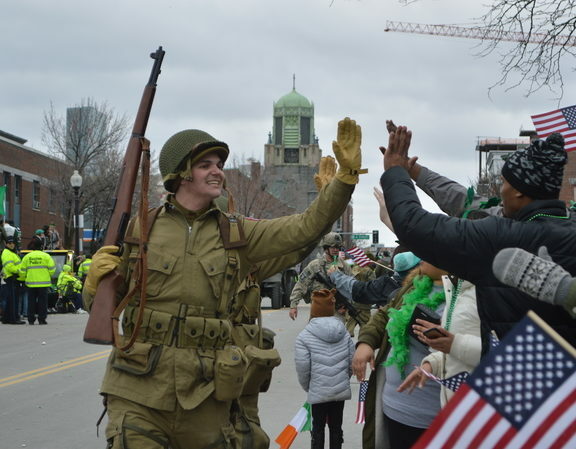 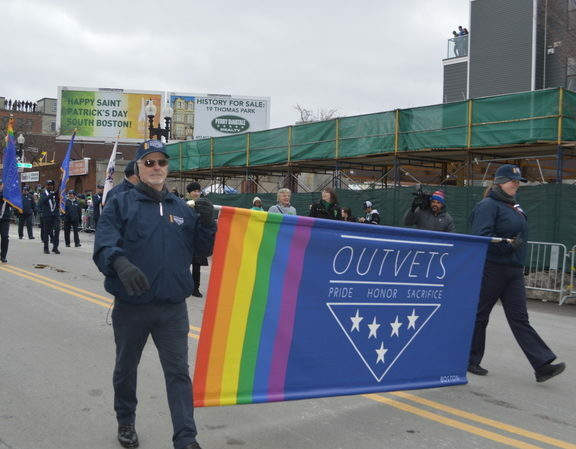 Various local politicians and candidates showed up, including Mayor Marty Walsh who re-agreed to appear after OUTVETS was included in the parade. 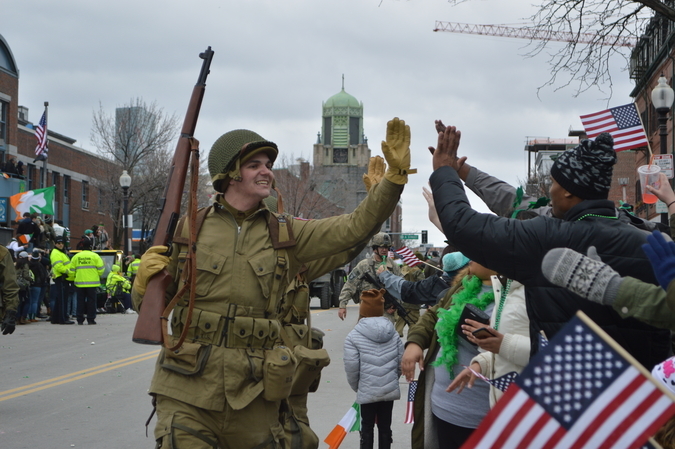 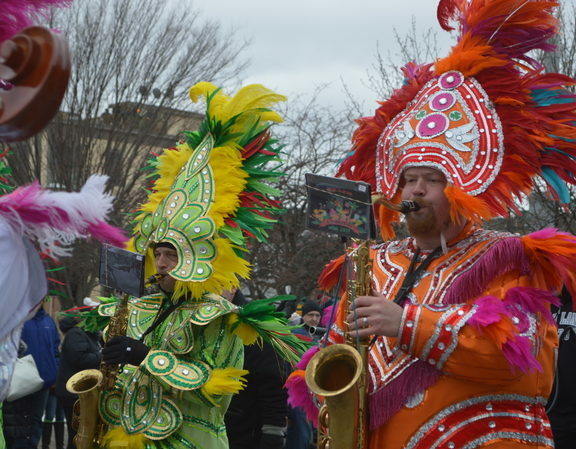 Overall, it was a very energetic parade that included a diverse array of participants. 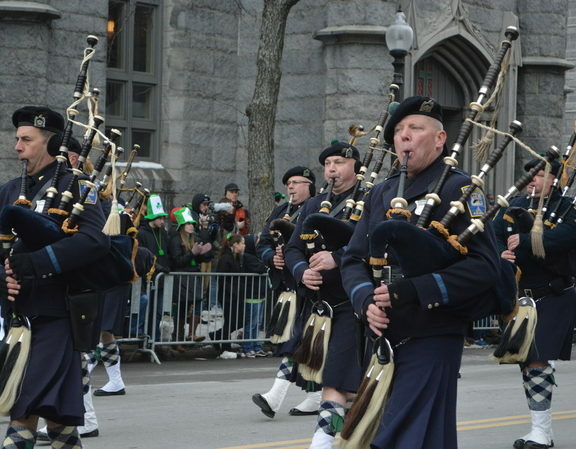 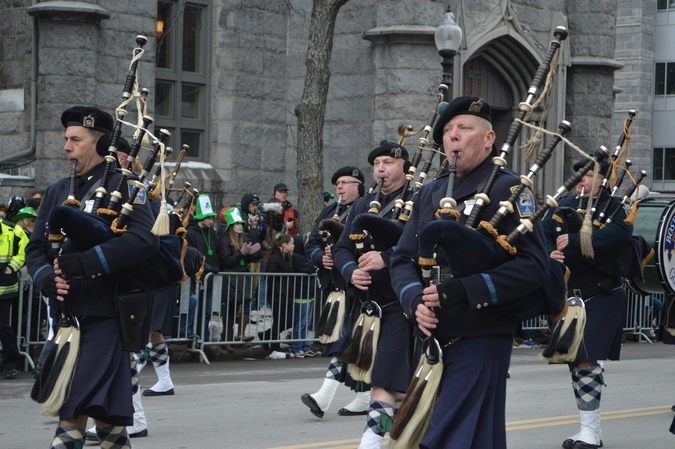 Boston police play the bagpipes towards the start of the parade near the Broadway T station. 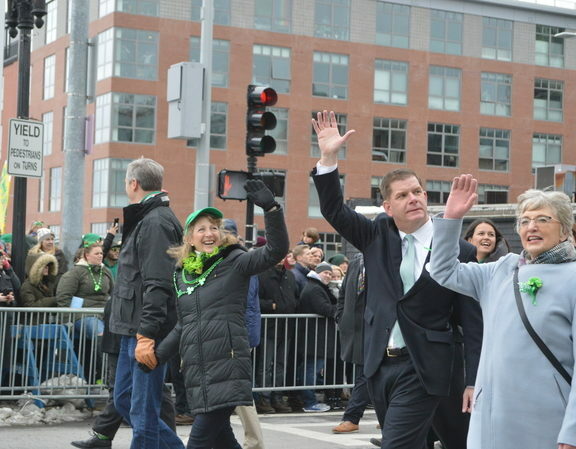 Mayor Marty Walsh waves as he walks the parade route. 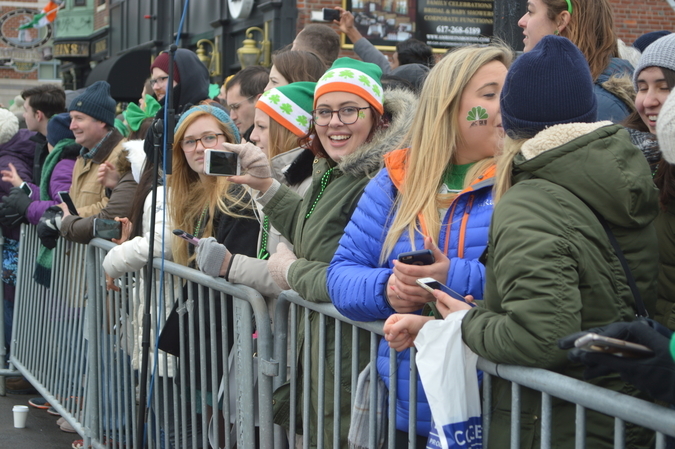 Lauren Warner, 23, enjoys the parade. 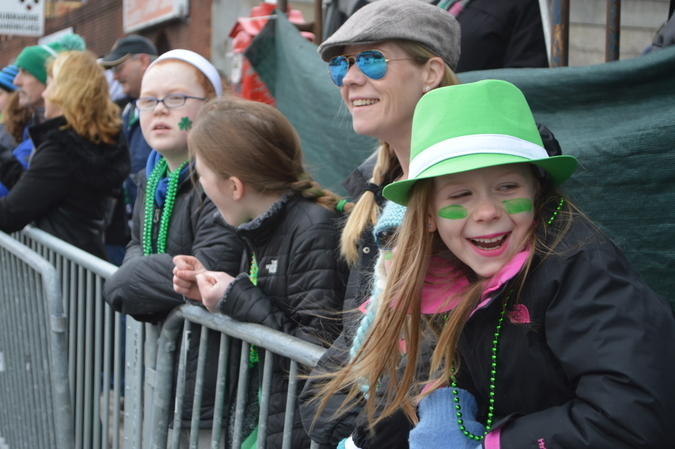 Emma March, 9, from Weymouth giggles as she watches the parade. 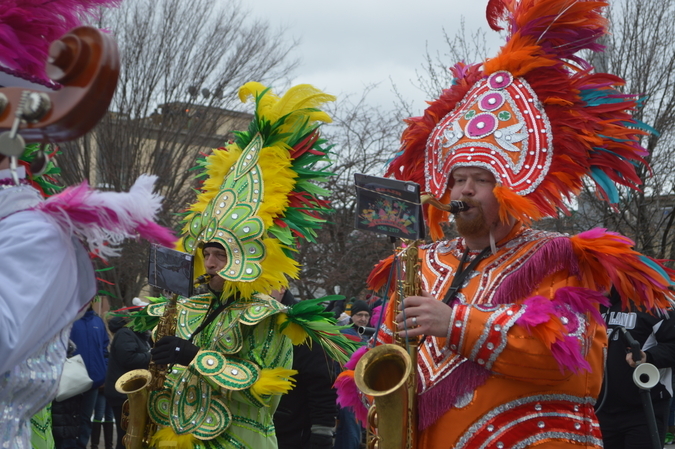 A group of people play musical instruments to celebrate Brazil. 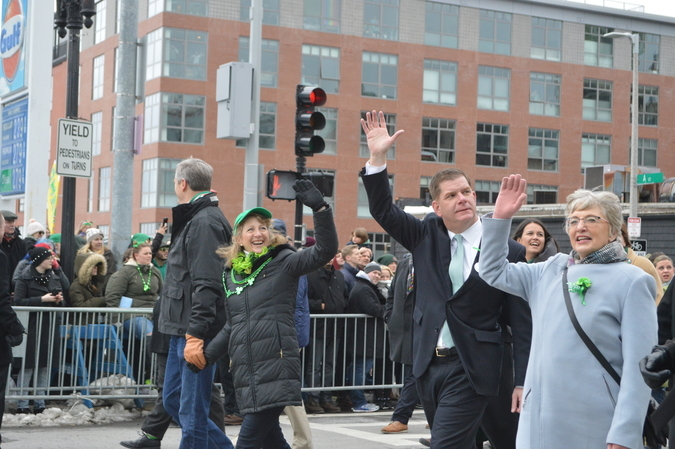 Miss Massachusetts waves at the crowd. 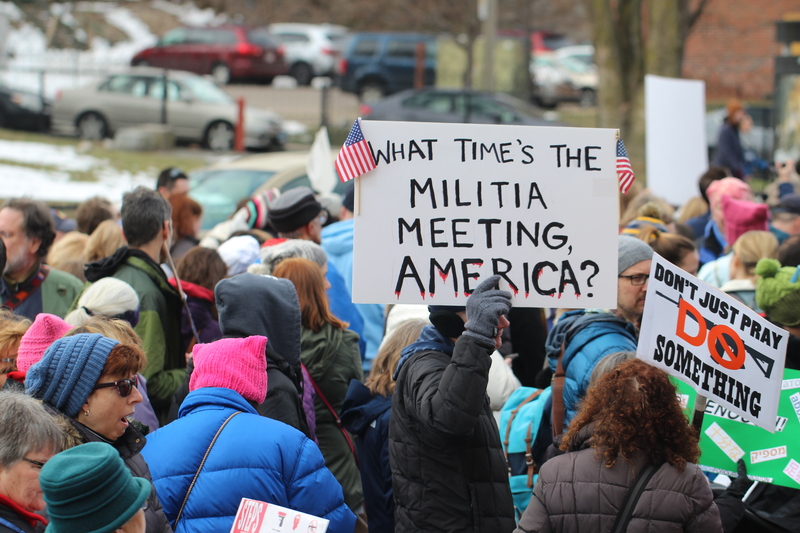 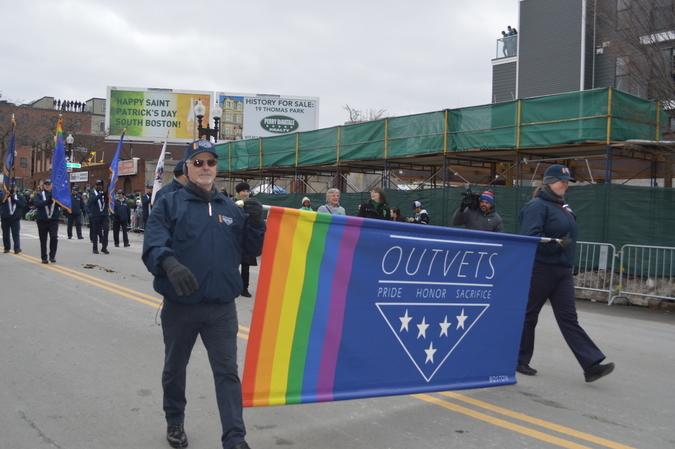 OUTVETS, which was previously banned from the parade, marches in South Boston. 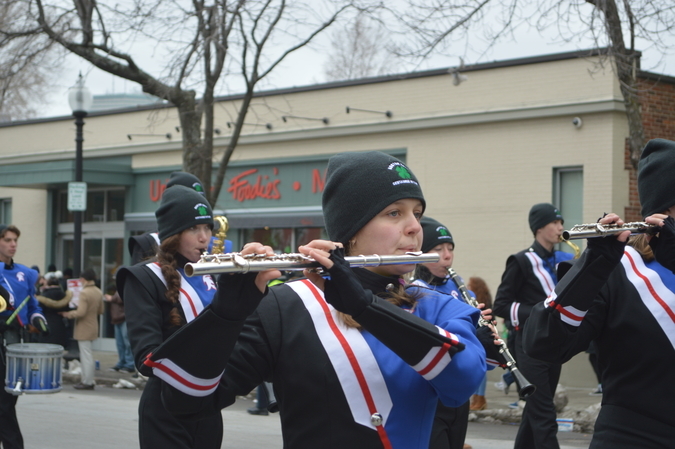 The marching band from Centaurus High School in Lafayette, CO plays their instruments. 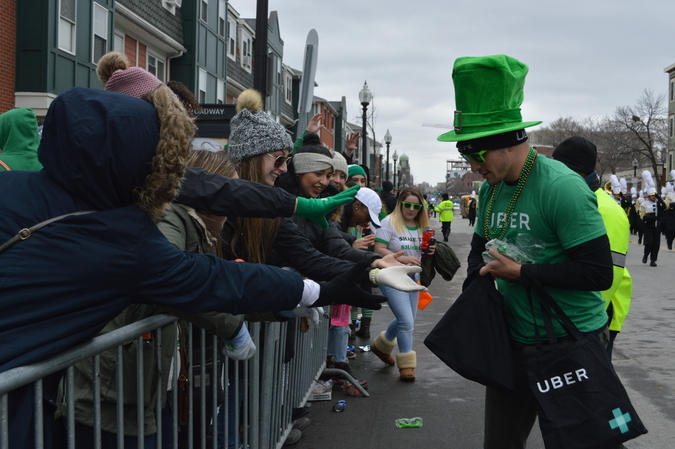 A representative from Uber hands out free swag. 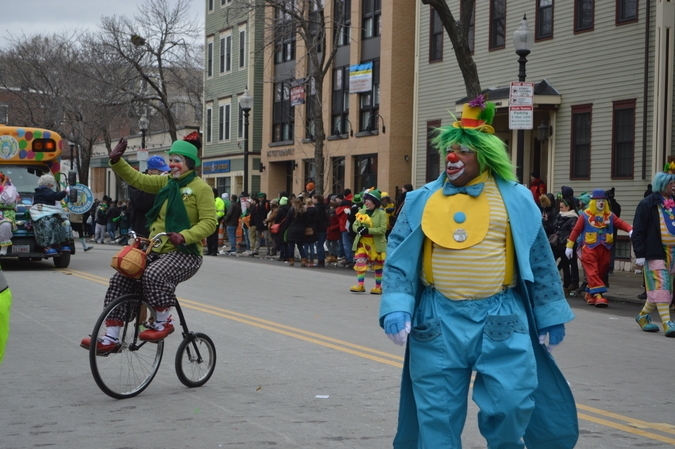 The Clowning for Kidz Foundation made an appearance. 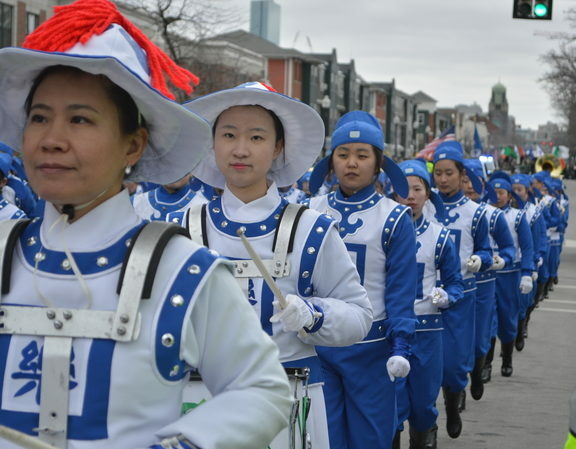 A group advocating the practice of Falun Dafa also took part in the parade. 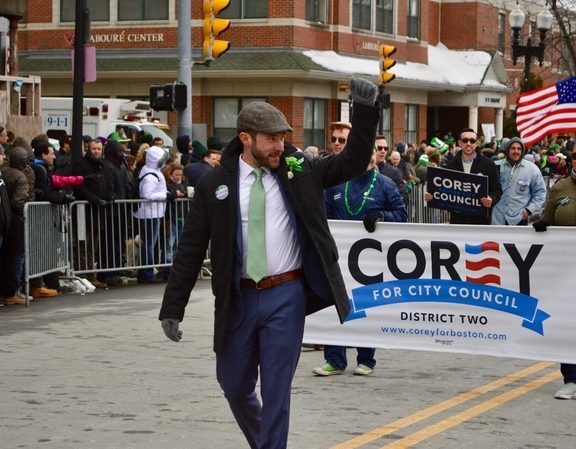 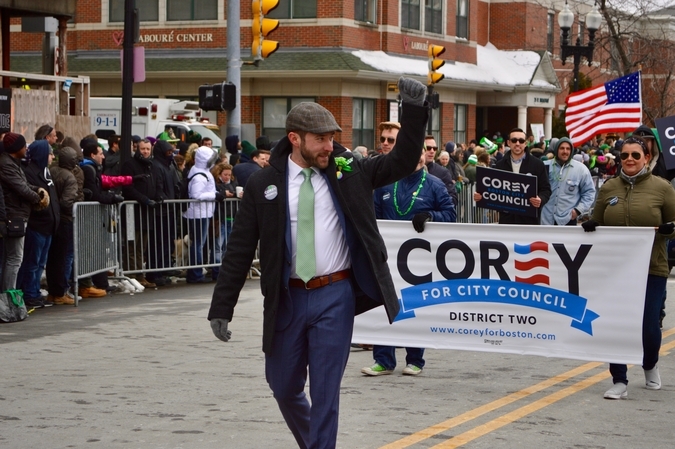 Corey Dinopoulos, a candidate for city council, participated in the parade. 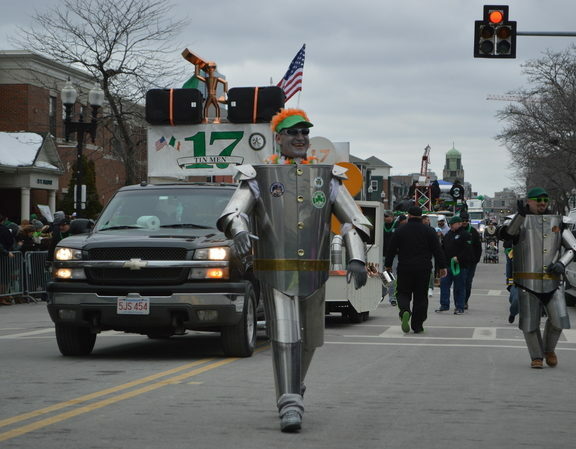 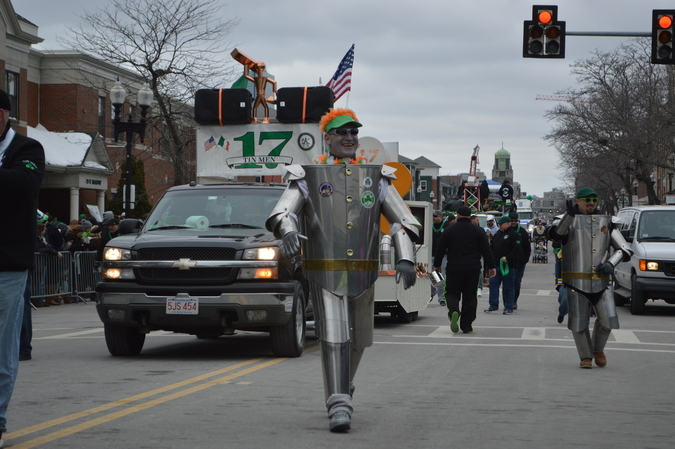 The tin men and the sheet metal workers local 17 wished the crowd a happy St. Patrick’s Day. 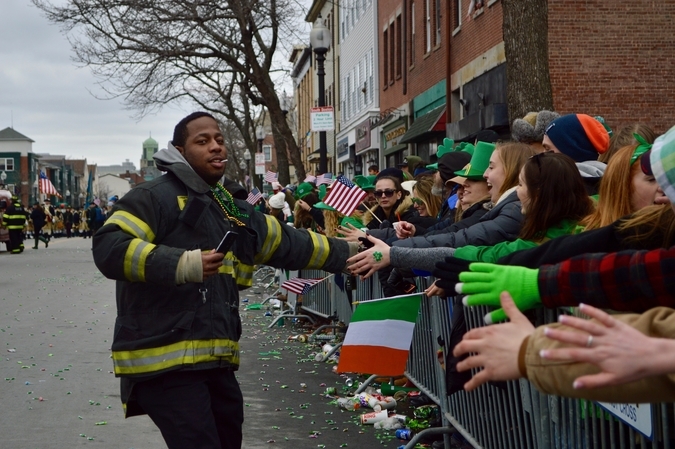 Firefighters were greeted with enthusiasm from the crowd. 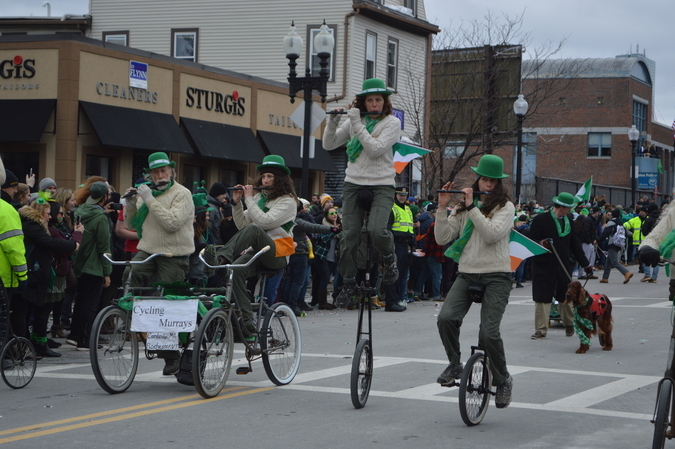 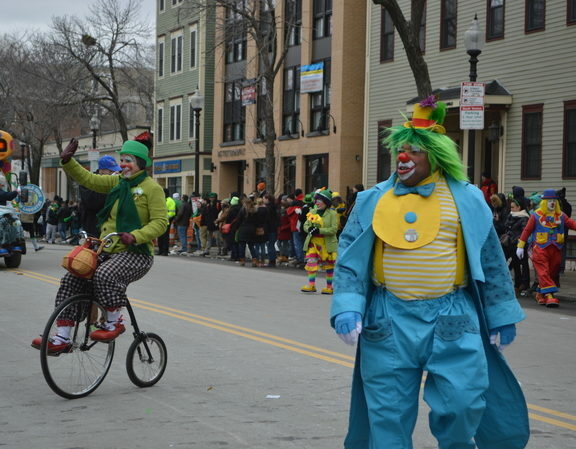 The Cycling Murray’s cycled down the streets of South Boston this past Sunday.